Kim Kardashian seems to be playing a big part in the drama surrounding Carmelo and LaLa Anthony. Melo allegedly got his mistress knocked up, which led to LaLa filing for divorce against the New York Knicks star. 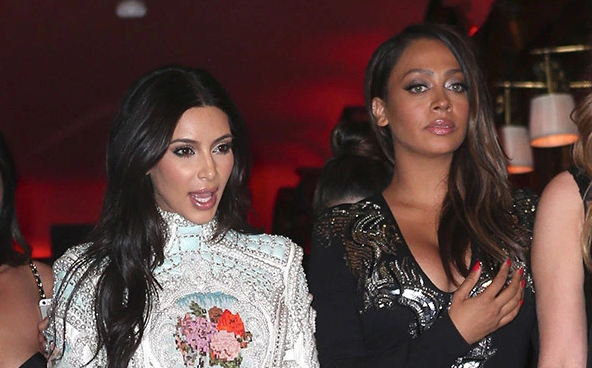 Kim Kardashian allegedly pushed her friend, La La Anthony, also known as La La Vazquez, to leave Carmelo Anthony after seven years of marriage. The Power actress was said to be furious to learn that her spouse had impregnated a woman – and went to share the story with The Keeping Up with the Kardashians star who told her to dump him. Kimmy is also helping LaLa find a divorce lawyer to circumvent the prenup her and Melo have. It's been a rough year for Melo.